Considering doing a donation? Be sure to check out these seven tips for donating toys to hospitals, including how to get your kiddos involved. 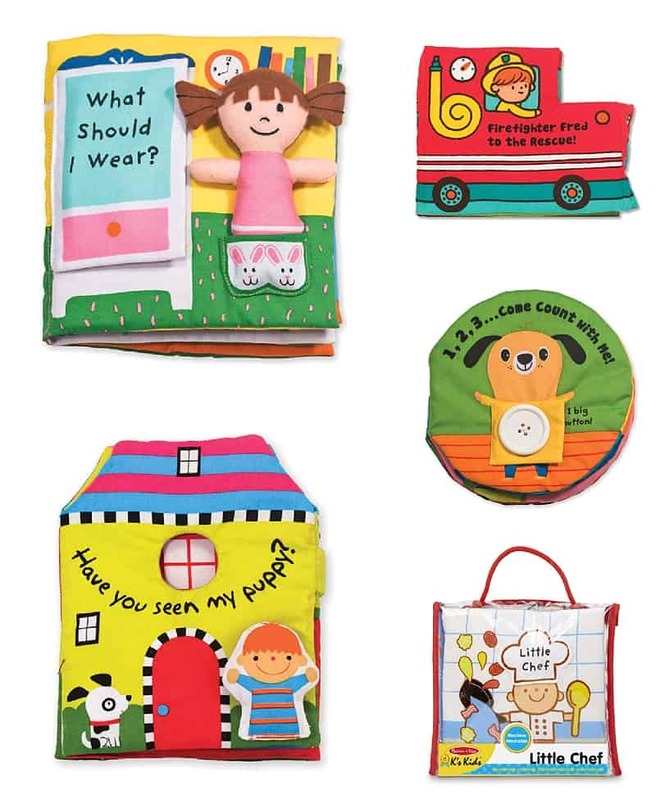 A big thanks to Melissa & Doug for sponsoring today’s post. This is especially true for certain family issues… Ensuring that our children don’t have an ungracious sense of entitlement is one of those topics. Some days, I’m astounded by my daughters’ unprompted generosity. Other days, their veiled comments evoking a “privileged” attitude blow me away. My husband and I are constantly looking for parenting opportunities to inspire gratitude, empathy, and love within our girls. We’ve done family Kiva donations, we’re looking into the Heifer foundation, and this holiday season we’re making toy donations to three hospitals. I was surprised to find donating toys to hospitals was more complicated than I had expected. So, today I’d like to share a few things I learned in case you’d like to make a toy donation to a hospital with your family someday, too. 1. For the safety of their patients and facility, hospitals only accept new toys. If you have gently used toys that you’d like to donate, consider sharing them with a woman’s shelter, The Boys and Girls Club, or facilities like Goodwill or The Salvation Army instead. 3. Some hospitals have multiple types of donation classifications. We are making an activity book donation to Mount Sinai Kravis Children’s Hospital this year in honor of this awesome little lady, Matilda. Research indicates that many long periods of time spent in the hospital as an infant or toddler can cause developmental delays because the stimuli remain too simple and motor movements are limited. We were very proactive with Matilda during her 72-day stay and tried to give her new things to hold or feel and to show her pictures in books. But then the fabric restriction I mentioned above popped into my mind. Urg. This means that things like these adorable soft books or stuffed animals might be accepted. So if you have your heart set on a specific item you thought a child might enjoy, check with the hospital to see if they can find a use for it. I sent Matilda to school today with confetti in her hair. But she is the one who has been filling my life with confetti for the last 4 years. She moved mountains, she woke me up, and I was ready to say goodbye to her amazing 6 weeks of life. And then we were given a second chance. She was given back to me because of organ donation. And every moment since then has felt like a party. She sprinkles her spirit with smiles, with laughter, with determination, and with all the love. 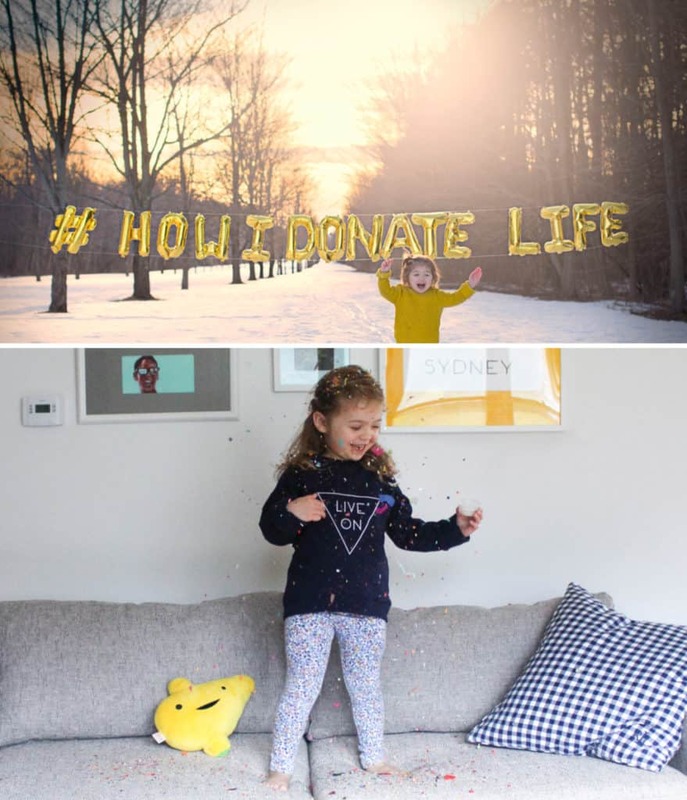 Happy 4-year transplant-anniversary Matilda. I am so glad you are here. See additional pics and learn more about Matilda’s story here. 4. Look online for urgent needs, everyday requests, and holiday wish lists. You might be surprised by what children’s hospitals truly need. For example, it was exciting to learn that many hospitals have a strong art focus. So, if your family has limited funds for purchasing donations, art supplies might be a great kid-friendly and budget-conscious donation experience. You can show up with 20 boxes of crayons and your kiddos will still feel the bulk of their donation. One of the hospitals we are donating to recommended portable activities that would help distract children during painful procedures, treatments, and exams. I immediately thought of Melissa & Doug’s activity pads. Another thing that the wish list from St. Jude Children’s hospital reminded me of is to consider donating toys for older kids. So often we see campaigns like Toys for Tots and we immediately imagine young kids. At St. Jude’s, they have specific wish lists available for preschoolers, school-age children, and adolescents. Consider matching your own children’s age group for maximum impact when making a family donation. A quick note… One of my best blogging friends, Tiffany over at Peanut Blossom, had the incredible opportunity to tour St. Jude Children’s hospital last year. The experience was life-changing for her. I still remember the way she passionately spoke about their mission when she got home. Even over the phone, I could tell she was welling up as she spoke. Take a moment to read this awesome story about St. Jude’s. I’ve got two words for you: red wagons. They’re is so clever! I decided that another toy donation our family will make this year will be to St. Jude’s (in my friend Tiffany’s name). 5. Empower your children and give them some ownership of this experience. Let your kids pick out what to donate. Now, considering all the restrictions and info we just discussed, this could seem like a challenge. First, pick the hospital and do the aforementioned research—restrictions, wish lists, etc. Then, start a Pinterest board (consider a public one, if you wish to inspire others! ), and pin items that meet the hospital’s needs and your family’s parameters or preferences. 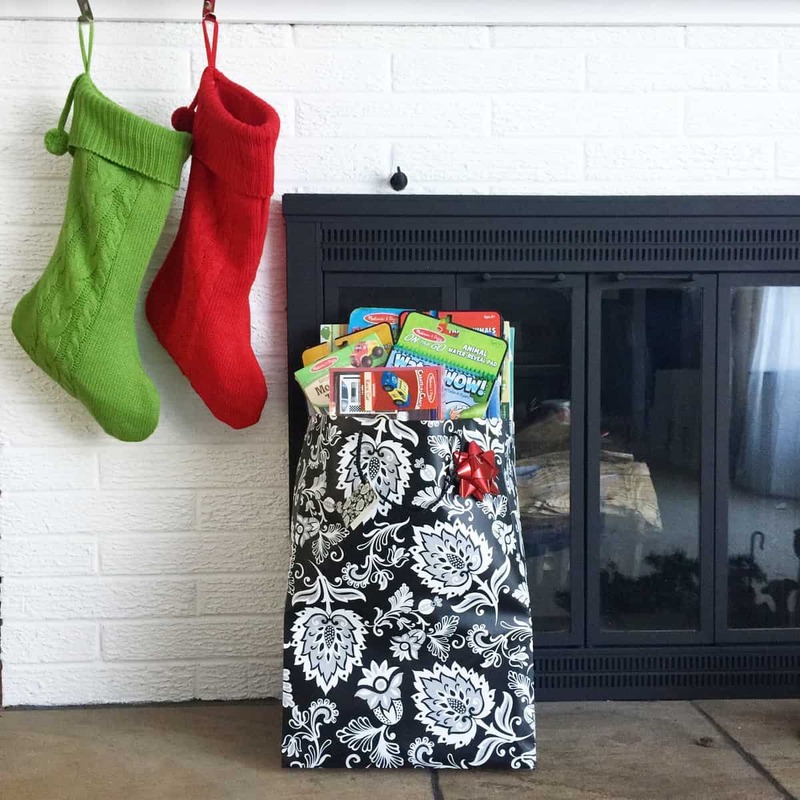 Finally, have the kids pick toy donations from the pre-approved items pinned on your Pinterest board. Talk about the amount of money your family wants to spend on toy donations, and have them create a Pinterest board of ideas for you to choose from! 6. If you’re providing items around the holidays, do NOT wrap your toy donations. I read this over and over on each hospital I researched. The hospital will review your toy donation and direct it to the area in which it will be most useful. Unfortunately, wrapping just adds more work for their volunteers. Of course, you can deliver the gifts in a pretty holiday bag still. One option might be to call the hospital and schedule a tour for when your family plans to drop off the items, so your kids can see how the toy donation will be used. Another option is to have your kids help decide which hospital to make the toy donation to and discuss why. This year, our family is planning to make donations to three hospitals. As already mentioned, we are donating to two out-of-state hospitals in honor of Matilda and Tiffany. With Matilda, we shipped the toy donations to her house, so she and her family could bring them in to Mount Sinai Kravis Children’s Hospital at her next appointment. 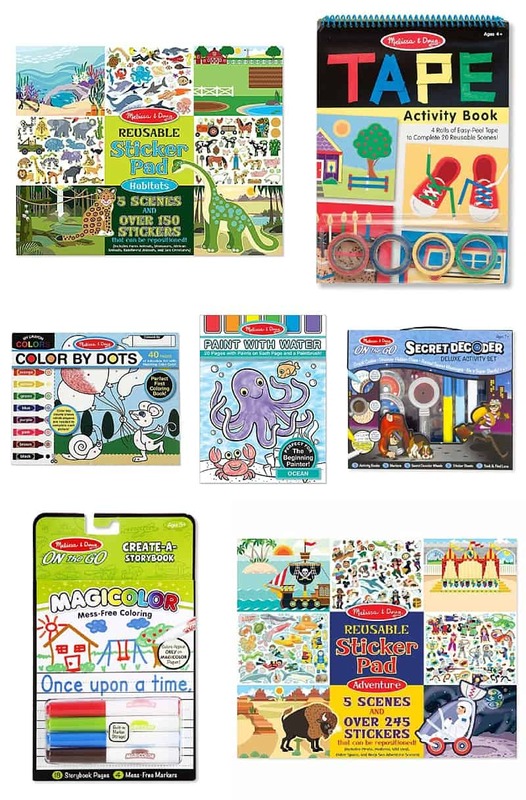 And with Tiffany, we simply picked a collection of Melissa & Doug activity pads for older kids and had the items shipped directly to St. Jude’s Children’s Hospital (the donation address is specified on their site). We are also donating to our local hospital. Last year, we had an unexpected trip to the emergency room when our daughter was bit in the face by our neighbor’s dog. The most challenging part of the experience was keeping our terrified daughter distracted as we sat to be called from the waiting room. Once admitted, the nurses and doctors did such an amazing job telling her how brave she was! By the time we were being discharged, my daughter asked for a photo (bloody stitches and all!) to remember her trip there. 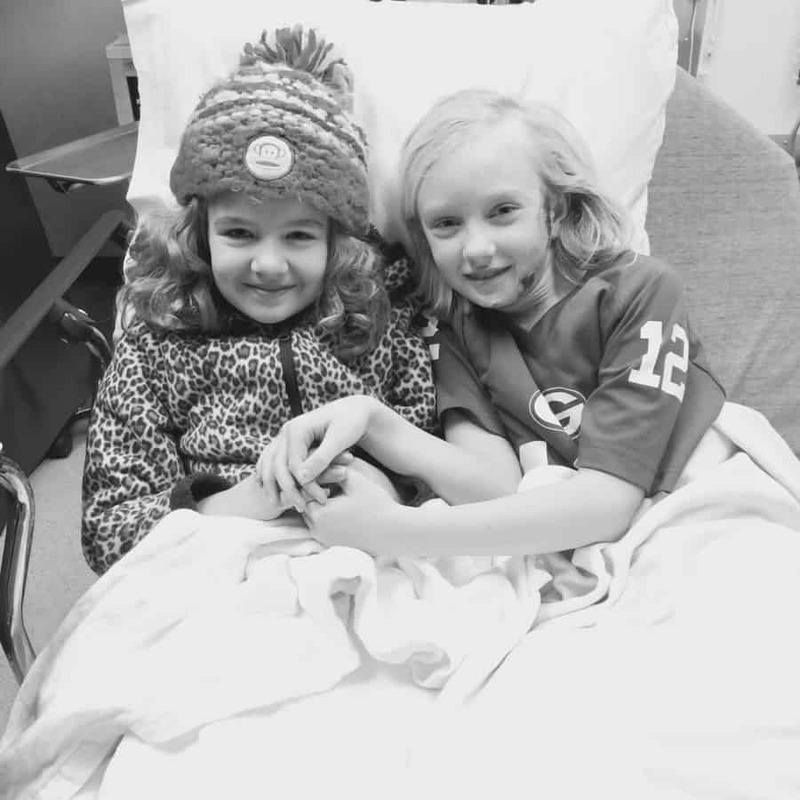 When we make our toy donations, I’ll be reminding my girls of the few experiences we’ve had at our local hospital. Like when she got the stitches mentioned above or when she had to spend a few days in the hospital because of a nasty virus that hit her hard in preschool. She was too young to remember the experience, but… She remembers the neon, stuffed rabbit that she received in the hospital. The items the girls have received at hospital visits over the years have a special place in their rooms. Almost as if they are holding on to the memory of a powerful experience they’ve overcome. Remembering the impact a toy can make in a scary moment will make the donation experience even stronger or more “real” for your children. So, this year, where could you consider making toy donations? There are so many wonderful institutions to help! I’d love if you’d explain how you’re making your toy donation a family experience. Please take a moment to share in the comments. Would you? We can all benefit from learning different ways to share in the JOY of giving as a family. P.S. A quick note… When I did my hospital research, I quickly realized that Melissa & Doug toys were an awesome route to take when making our family donations. Their toys are sturdy, their activity packs are awesome, and it is easy to order online. When I started writing this post and realized they were the perfect fit, I reached out to Melissa & Doug to see if they’d like to sponsor today’s donation tips. I am proud to be a Blog Ambassador on their company blog, The Playtime Press, and I was super excited when they agreed to sponsor today’s info. I do want to mention that while this content is sponsored, the toy donations we made were *not* comped (or provided) by Melissa & Doug. Also, the donation sites discussed in this post are personal preferences and the hospitals mentioned are not in any way associated with Melissa & Doug. I want to make sure I am always transparent about sponsored content here on the site. Like I said, my research came first and the sponsorship came second. I am grateful for awesome company’s like Melissa & Doug who are willing to collaborate with and support bloggers. I am happy to have showcased these awesome toy donation options. I enjoyed reading your post. My wife and I want to incorporate the same values in our children. We enjoy making people/children feel better and bring a smile to their faces. We are not overly wealthy but want to make a difference. We live in a small community in NW Ohio, so im sure we will need to travel. Your advice will definitly come in handy.